I took a long road trip this summer. I was traveling to a conference in Salt Lake City, Utah, and we made it a family vacation, to show our son more of this big, amazing country. I blogged some from the road, but I didn't want to advertise to every burglar on the internet that our house was empty, so I've waited until now to start posting the entries. After Devils Tower National Monument, Wyoming, we turned south, for Casper. But first we had a long and interesting Monday evening of driving. 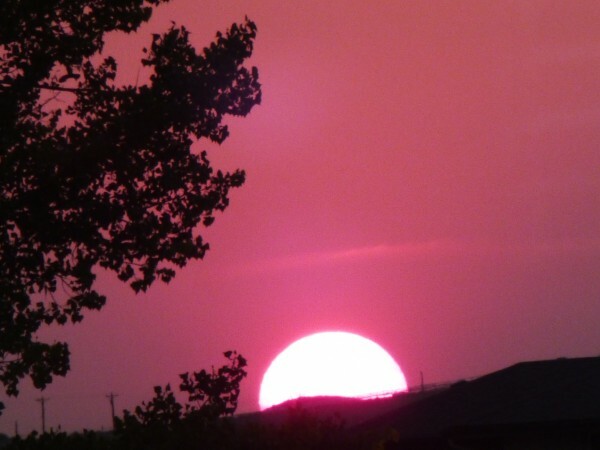 The sky deepened to red and pink, and the sun set as we watched from the car and through the window of a Pizza Hut. Then we drove until late, along very dark, very rural Wyoming roads. As we passed by, hundreds of deer and antelope peered at us from the side of the road and considered jumping in front of the car, just to freak us out. They restrained themselves. 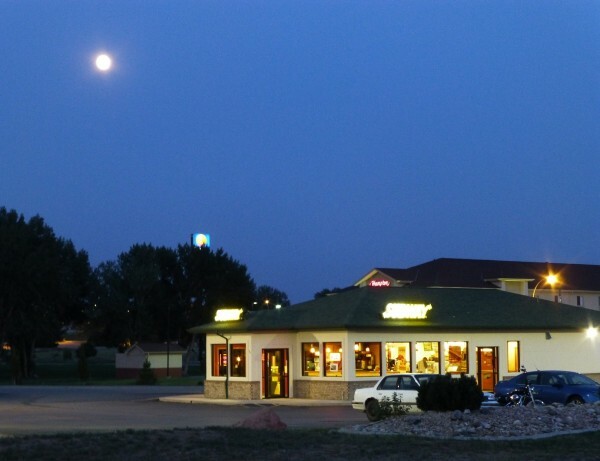 As we entered Casper, we noticed a bright full moon shining over the Subway sandwich shop.